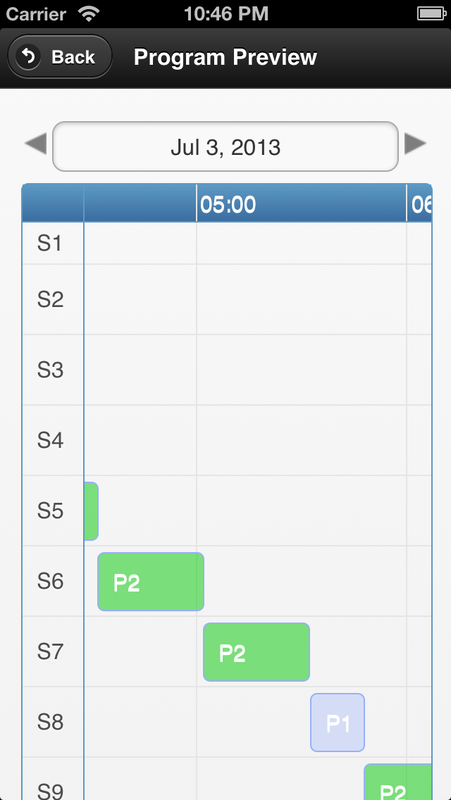 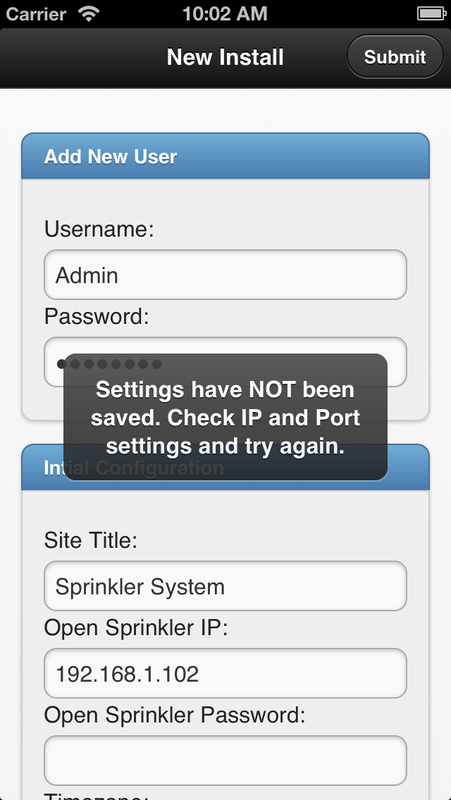 There are plenty of instructions available online on how to use the provided web interface but I have decided to make my own web app that is more mobile device friendly (iPhone and iPad). 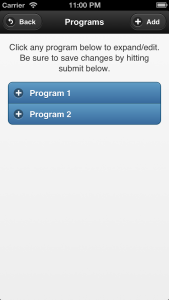 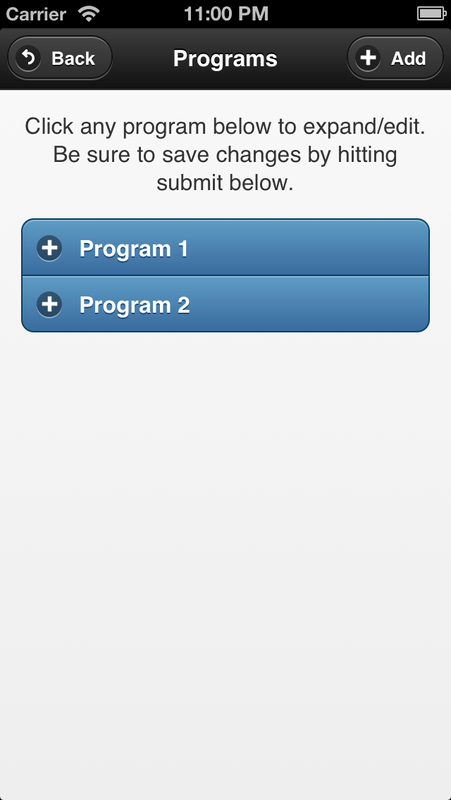 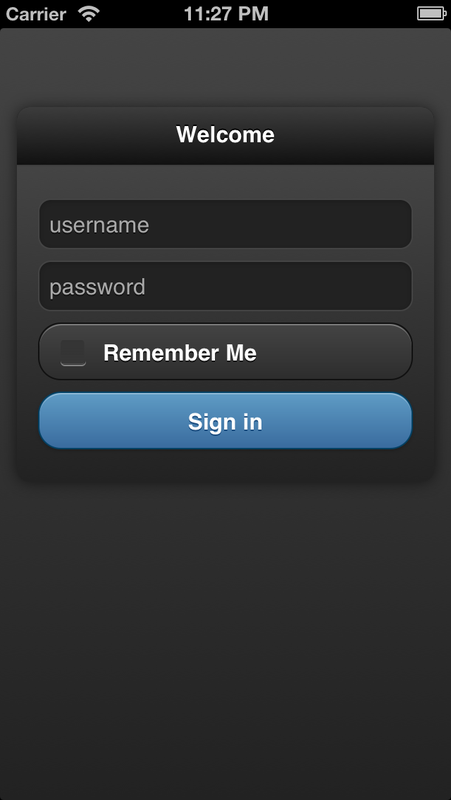 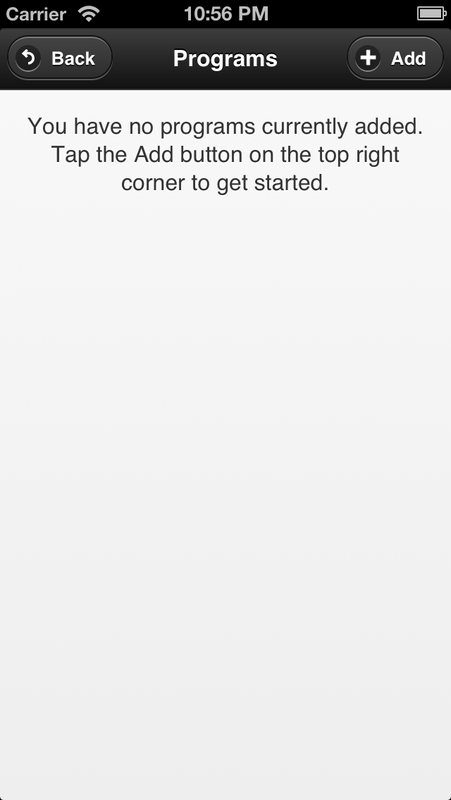 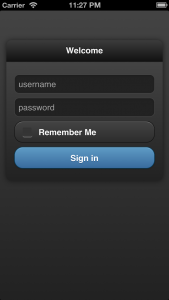 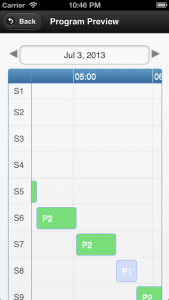 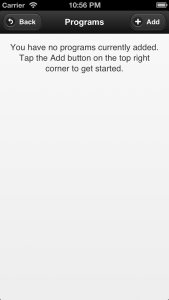 I decided to use jQuery Mobile and used the same boilerplate that I have used for my other web apps. 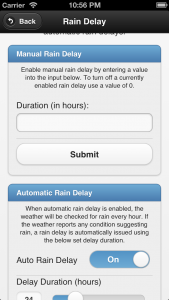 The app is completed and released on Github. 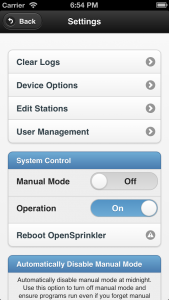 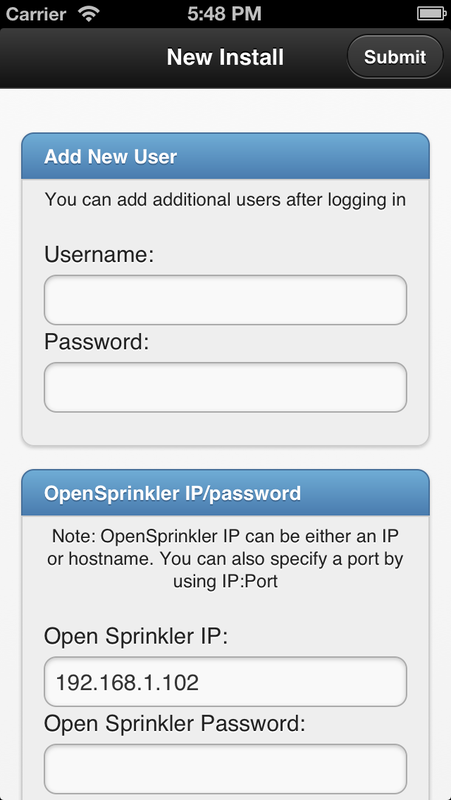 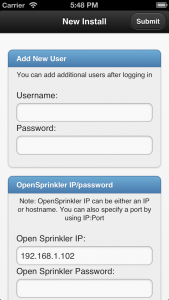 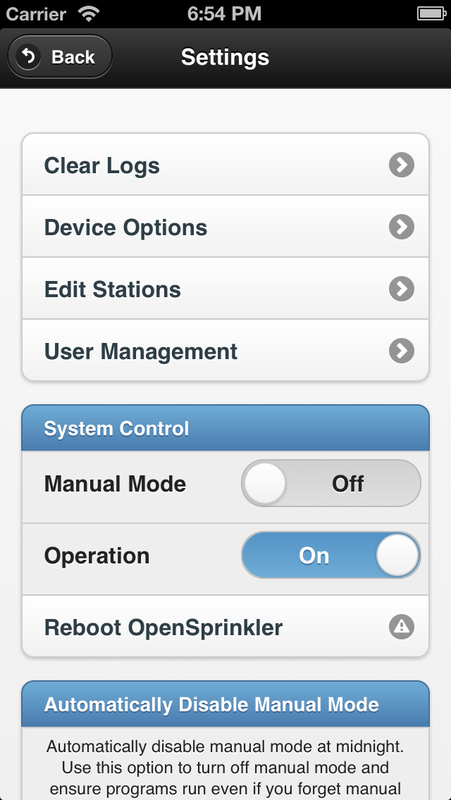 All of the programs settings come directly from the OpenSprinkler HTTP interface so no need to re-enter all your settings again. 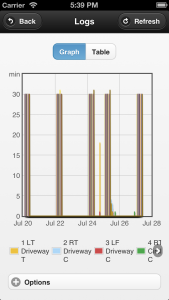 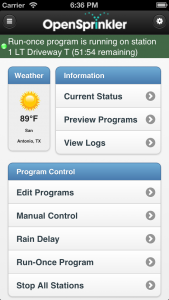 Discussion for the web app development can be found on Ray’s forums. 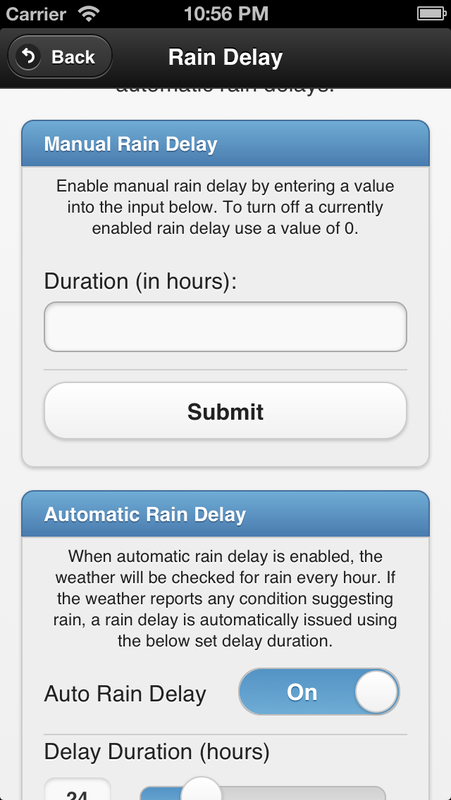 For assistance understanding how features work/mean please refer to the documentation on Ray’s website. 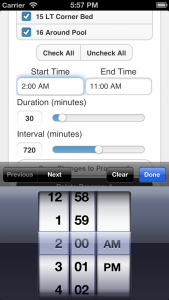 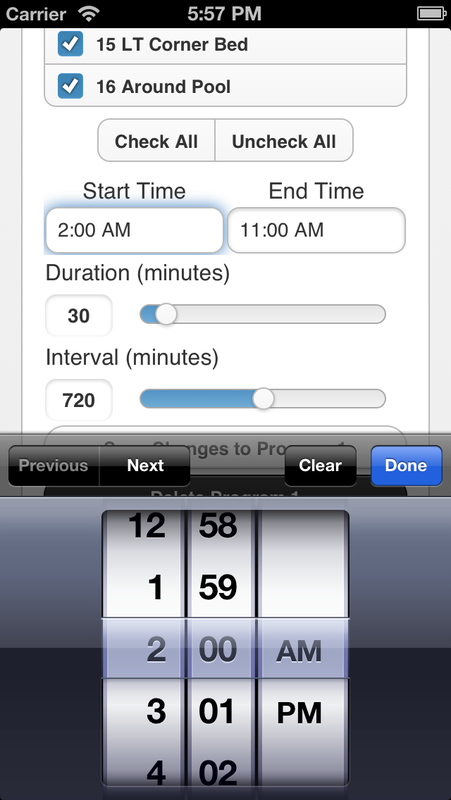 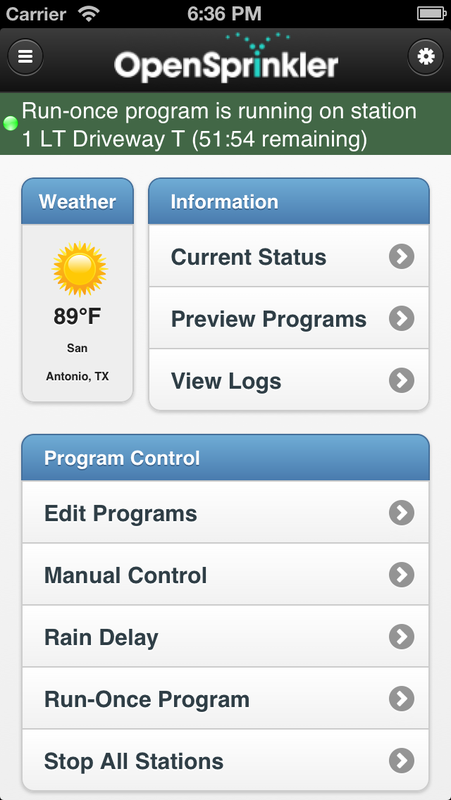 Everything in this web app is based on his interface but simply adapted for the mobile interface. 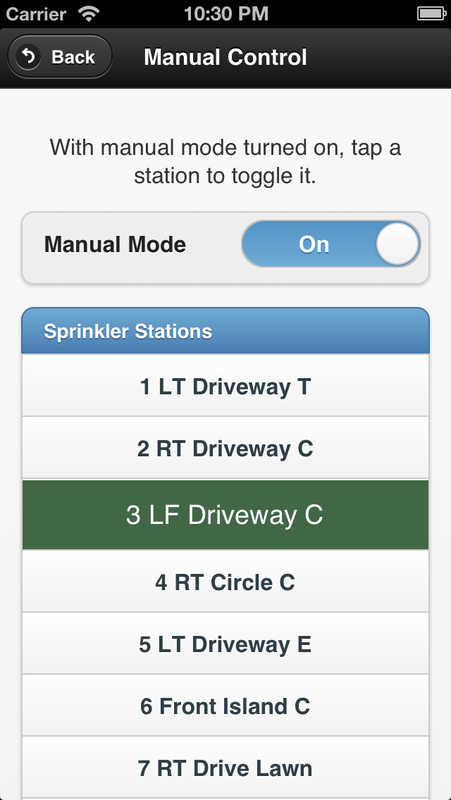 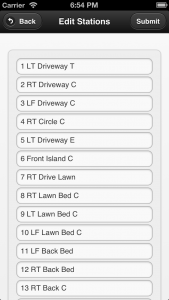 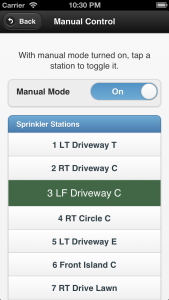 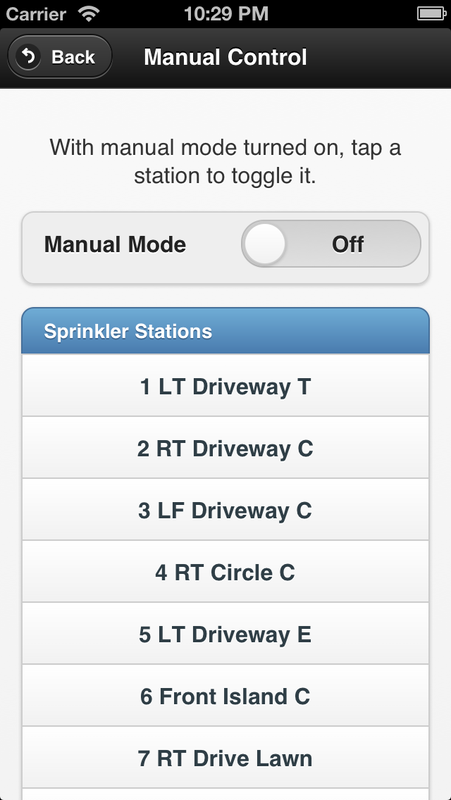 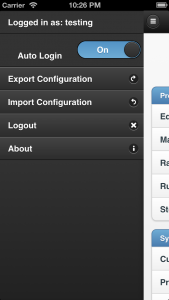 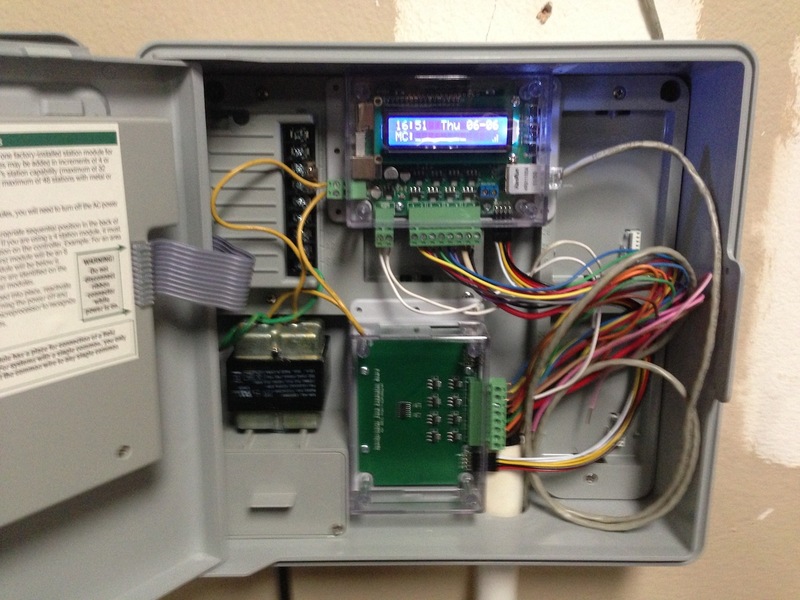 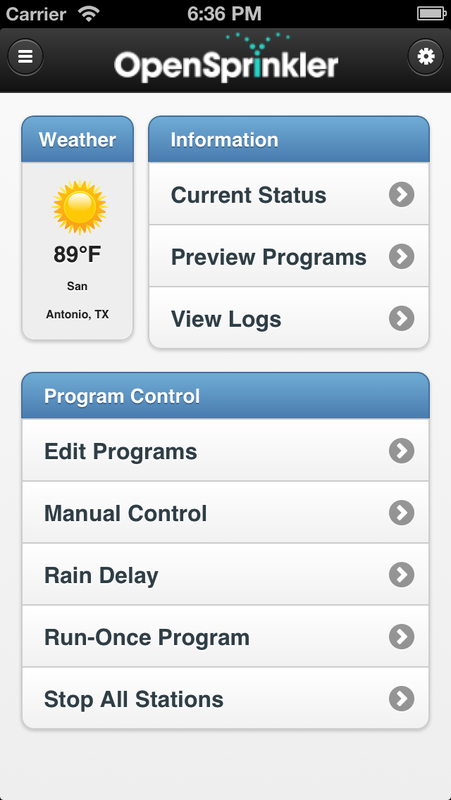 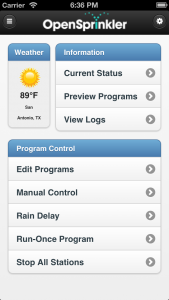 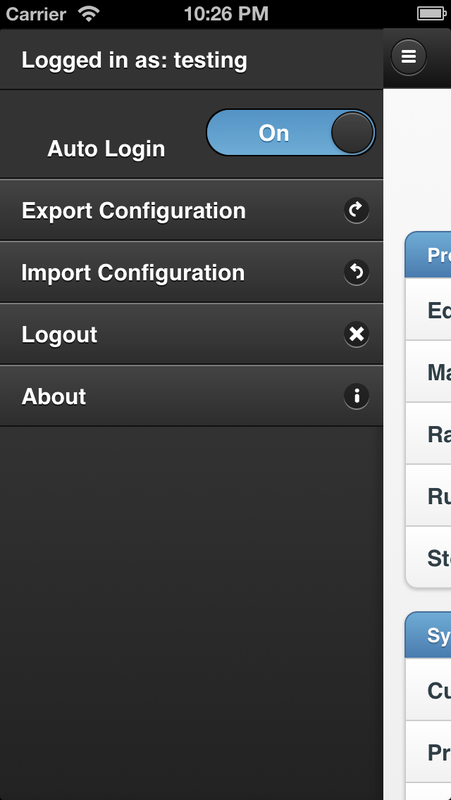 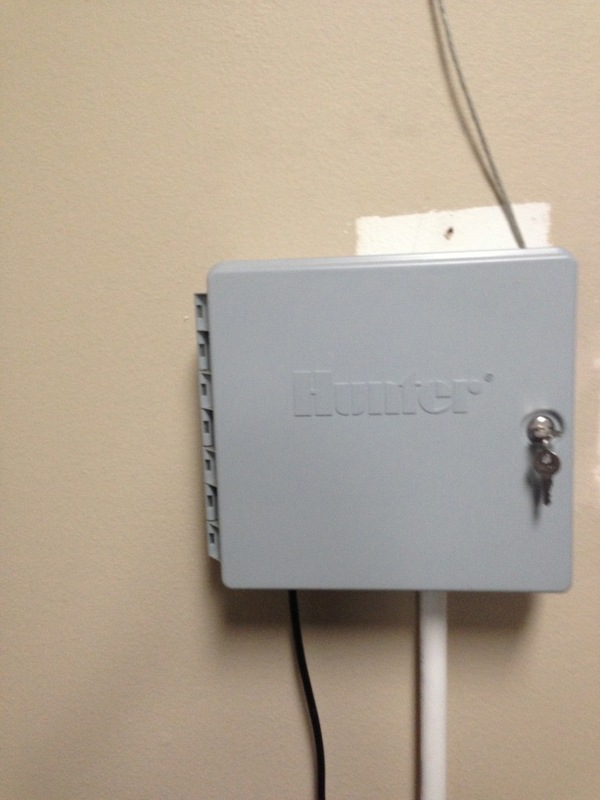 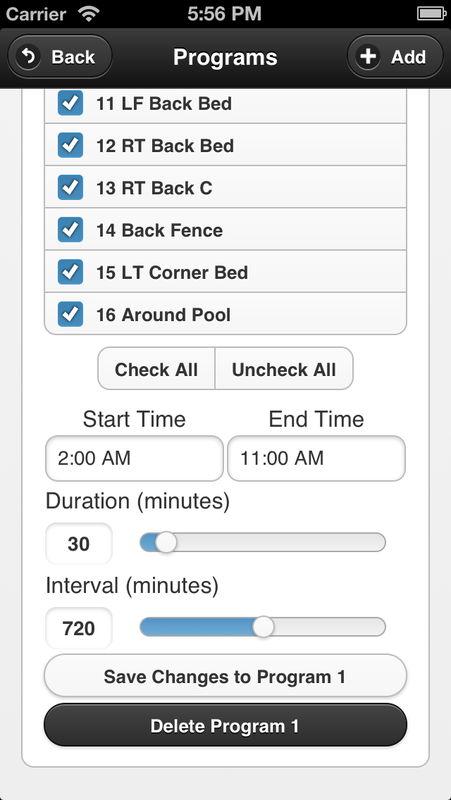 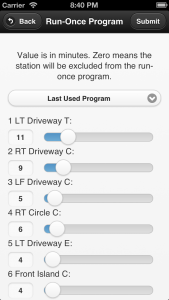 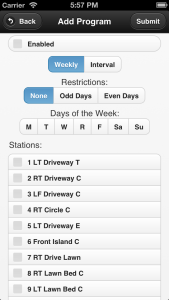 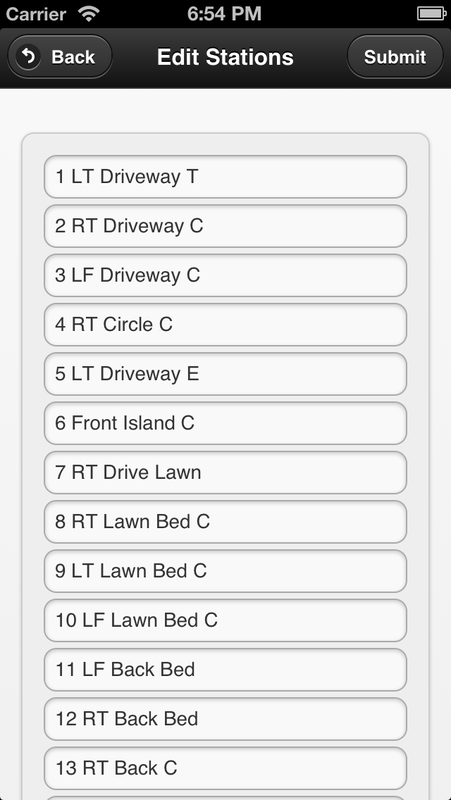 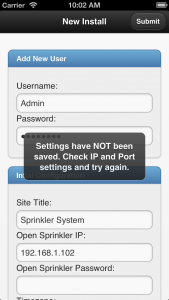 This is the home screen which gives the main options available to the sprinkler system. 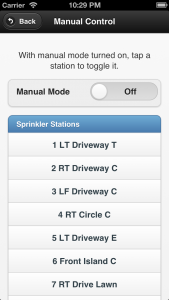 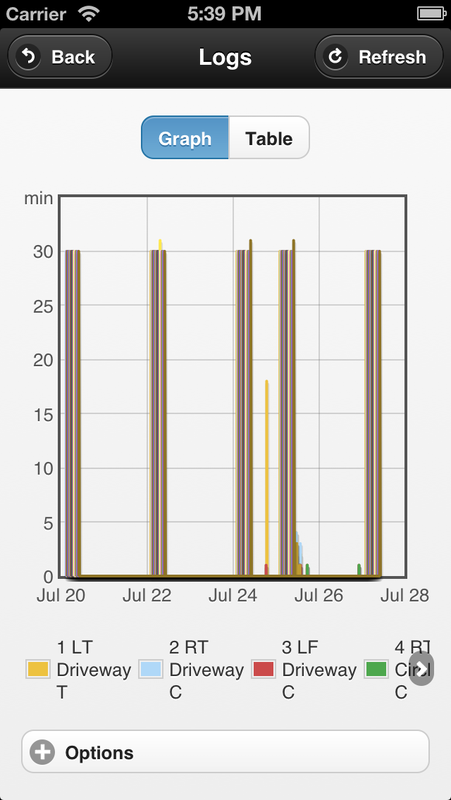 The weather is updated from Yahoo using the location set on OpenSprinkler. 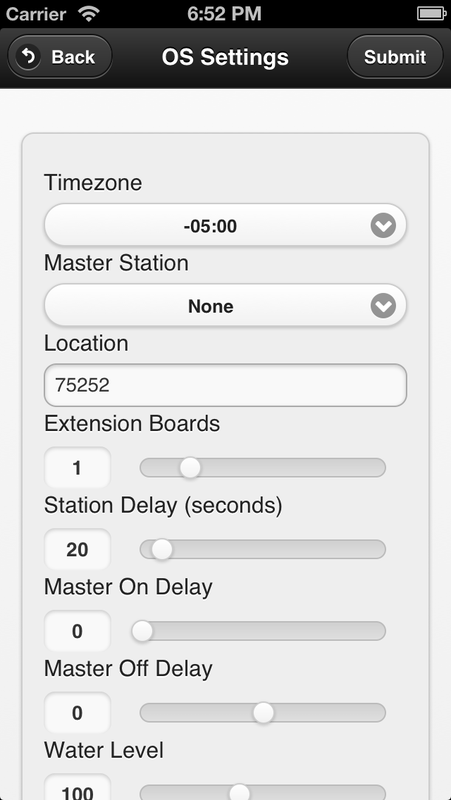 This is the side panel with various options including exporting/importing the configuration, all programs, station names, etc. 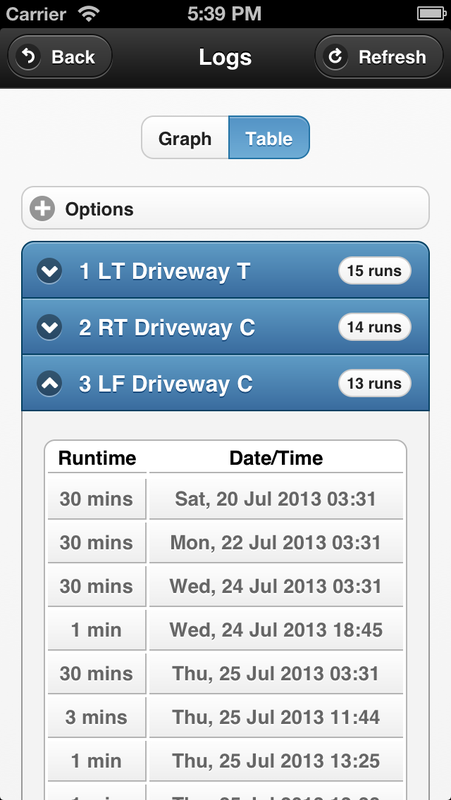 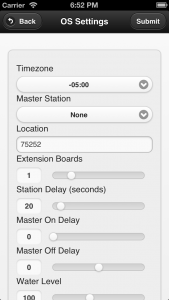 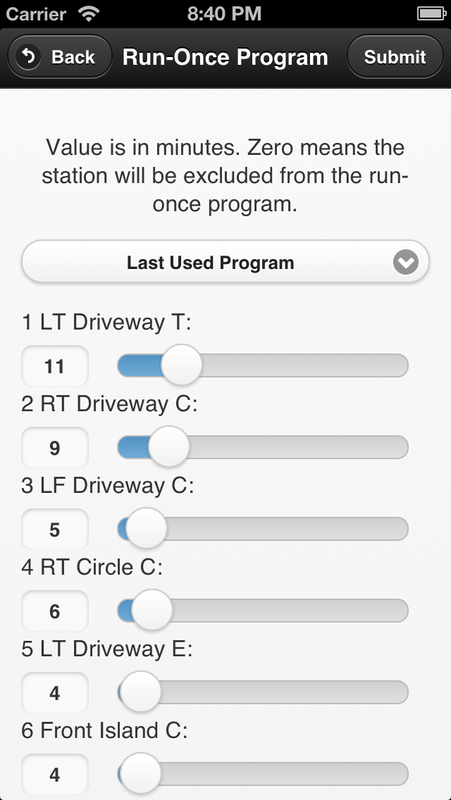 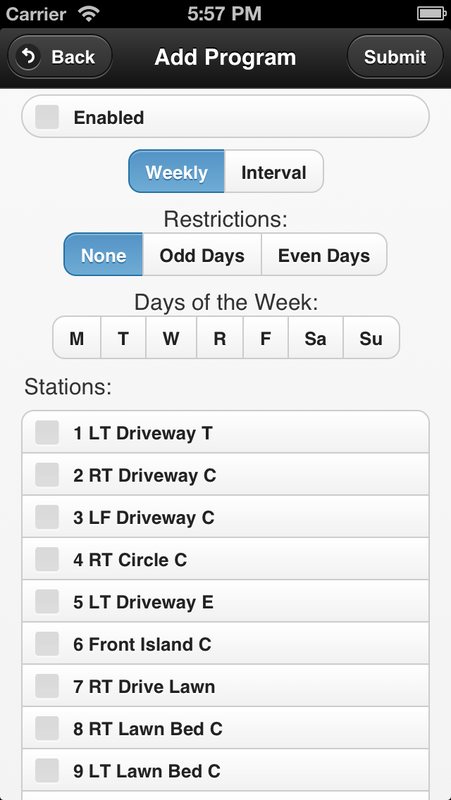 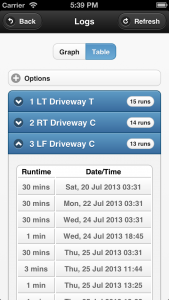 This is the current status window which shows the device information as well as the stations. 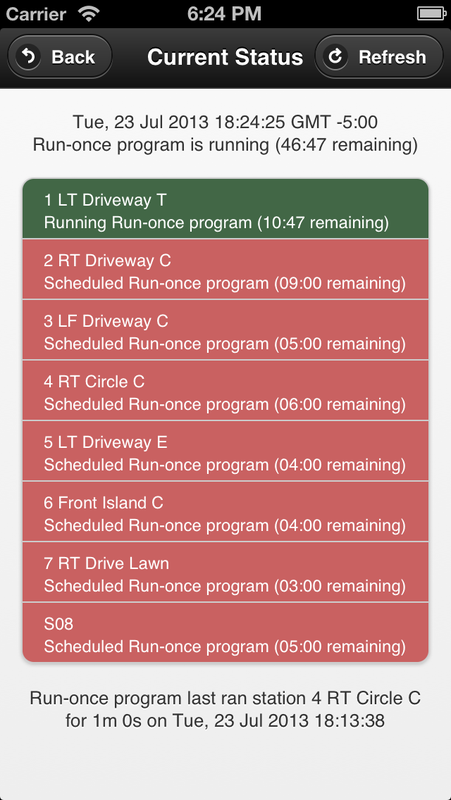 The background color behind each station signifies if that station is currently on/off. 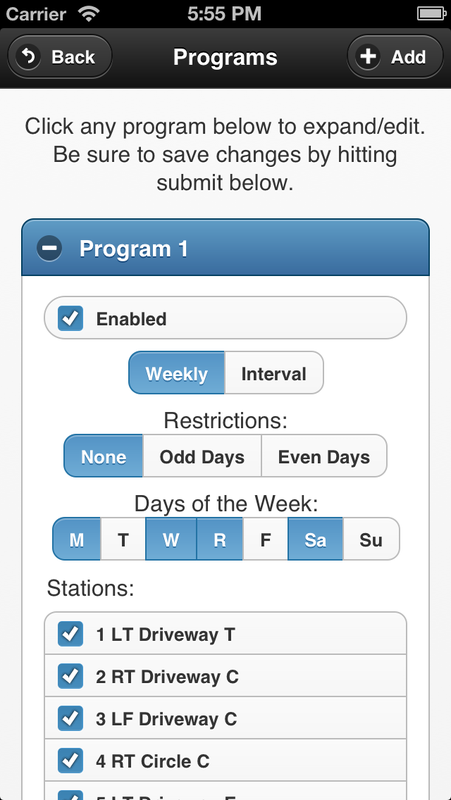 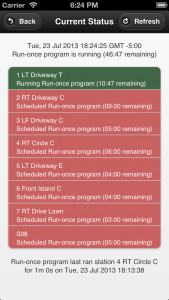 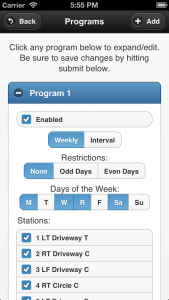 The program running is displayed underneath each station along with the scheduled or remaining time.